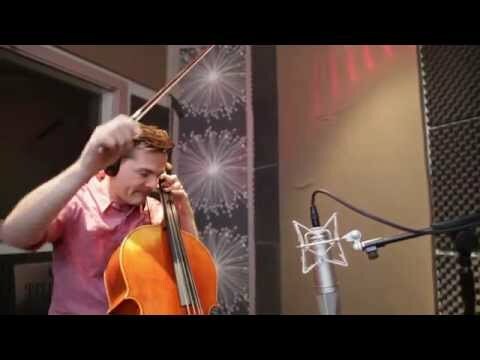 Published: September 11, 2015 1:30 pm Updated: Sept. 11, 2015 6:02 p.m.
Cellist Steven Sharp Nelson announced this week that The Piano Guys will perform a new song in the motion picture reboot of "Saturday's Warrior." In a YouTube video released Sept. 10, Nelson is seen recording the accompaniment to the new song, "There's Got to be More." Footage from the filming of the movie is also shown. Earlier this month, musician Alex Boye announced he will also participate in the motion picture. Boye said in a YouTube video that he will be perform a musical number and play the role of a heavenly guide. "Saturday's Warrior" was written as a musical and has played on stages from Arizona to Australia since its debut in the 1970s. A video version was released in 1989. Lex de Azevedo, composer and co-writer of the original musical, will produce the new film, which is scheduled for release in 2016. More information about the movie is available on the "Saturday's Warrior" Kickstarter page and official Facebook page.